Should I have a co-leader on my Yoga retreat? One of the questions that comes up when thinking about planning a retreat is: "Should I have a co-leader or co-teacher?" Having someone there to help you plan, market and lead your retreat can be very comforting. You get to bounce ideas off each other, divide up tasks and have an extra hand for all the responsibilities you'll have during retreat. It could seem like a no-brainer! Especially if you're planning to travel abroad or leading a large group of students. Just having some to help you hold space can truly be a game-changer and give you some breathing room. But before you decide to bring on a co-leader, we want you to consider a few things. The truth, is we’ve learned many lessons from partnering and co-leading retreats (some were successful, and others not so much). We know it’s not a decision to make on whim. Having a co-leader for your retreat is a decision you should make with lots of thought and intention. Partnering doesn't always make things easier. Sometimes, it can actually make things difficult if you haven't thought through all of the details involved and figured out your main purpose for co-leading. Before jumping into co-leading a yoga retreat with someone else, here are 4 things to consider to help you figure out if partnering is right for you. First of all, there are many different partnership models you can use in co-leading a retreat. You can do a full or a half trade. You can partner 50/50 with someone and split all the responsibilities, expenses and profit. And you can also pay a partner (as an employee or independent contractor) to help you for just a portion of your retreat. So consider your options for creating a partnership and put some thought into what would be the best fit for you. Because there are more than a few things to think about when it comes to co-leading a retreat, we decided to create a free guide to help you figure this all out. In this guide - that you can download for free below - we go over some pros and cons partnering on a retreat + 3 common partnership models for yoga retreats. What’s your personality type AND what's the personality type of your potential partner? This is probably one of the most important things to be aware of when you're thinking about co-leading a retreat. The energy and flow of the entire retreat experience depends upon the teacher(s). If you're thinking of bringing in another person to help you lead the retreat, consider how this person might affect your energy, in either a positive or a negative way. We all know that we have an easier time working with some personalities than others. When considering a retreat partner, keep in mind your own personality and who would complement your teaching & retreat leading skills in a positive way. Think about what skills, expertise and strengths you'd want to bring in to compliment your own personality and experience. Does your potential retreat partner teach a type of yoga that would compliment your teaching style? Or, is the person you're thinking about great at marketing and would be able to help you promote your retreat? Does the teacher have a good/great student following? Or does she/he teach complementary healing practices like Reiki, Sound Healing or massage? Most importantly, do any of those additional skills fit in with the overall theme of the retreat and the retreat experience you are envisioning. Tip: Know what type of retreat experience you want to create before you choosing a partner. This will help you make decisions aligned with your vision & purpose. When you decide to co-lead a retreat, be sure to have a clear idea of what you need help with from a co-teacher and make sure to clearly communicate these expectations. This is crucial to the success of your yoga retreat. Sometimes we make spontaneous decisions, like deciding on the fly to co-lead a retreat, only to notice later on that we hadn't thought through all the details and expectations. This can give way to lots of confusion, misunderstandings and, in a worst case scenario, even animosity. Why do you want to co-lead a retreat? What parts of retreat planning do you want assistance with? What parts of leading your retreat do you need the co-teacher to step into? What role are you both playing in the entire retreat experience? What retreat partnership model would work best for you? Make a list of the things you want help and support with. Think about how involved you want your co-leader to be and what role he/she is going to play from start to finish. Once you have that list, you can clearly communicate those expectations to your potential partner. Be sure to sit down and have an honest and thorough convo about how things are going to flow. We always recommend our students to have a written contract with any retreat partner or co-leader so that you both are on the same page from the get-go. Once you bring a retreat partner into the mix, especially as an equal partner, know that you will have to split your profit. 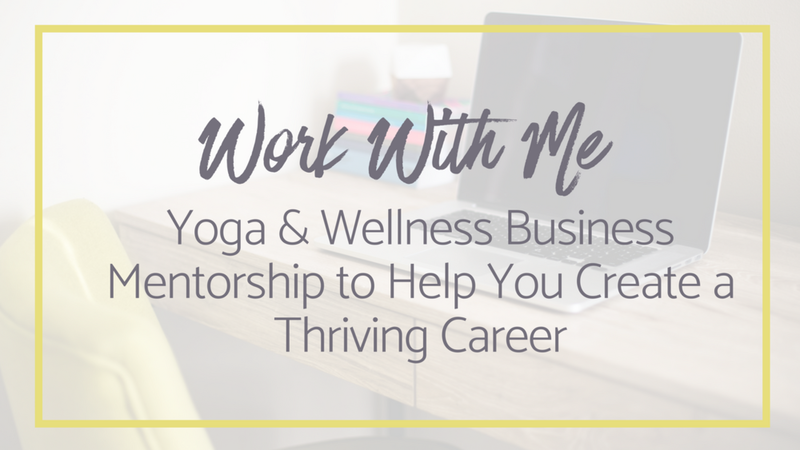 Talking about money when you decide to partner with someone shouldn't be a tabu or awkward, but rather an important aspect to consider before you commit to co-leading your yoga retreat with someone. Here is where having a super clear retreat budget FIRST will help you make an informed decision about partnering + be able to price your retreat accordingly. You both want to make sure your efforts of planning and leading the retreat are met with a fair compensation, right? So, don’t decide to co-lead a retreat before you've sat down to map out your retreat budget and have a pretty good idea of what your profit will be. If you decide to bring in a retreat partner, you most likely want them to help you promote and sell-out your retreat so that you can cover your expenses AND make a decent profit to compensate for all of your hard work. Ready to explore this topic further? Download your free guide with the pros & cons of co-leading a retreat + 3 common partnership models for retreats. Older PostWhat’s the right price for your retreat?